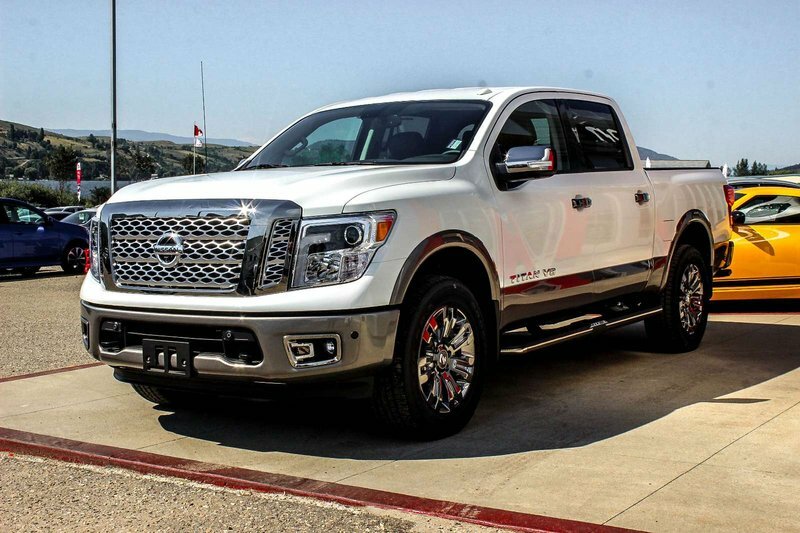 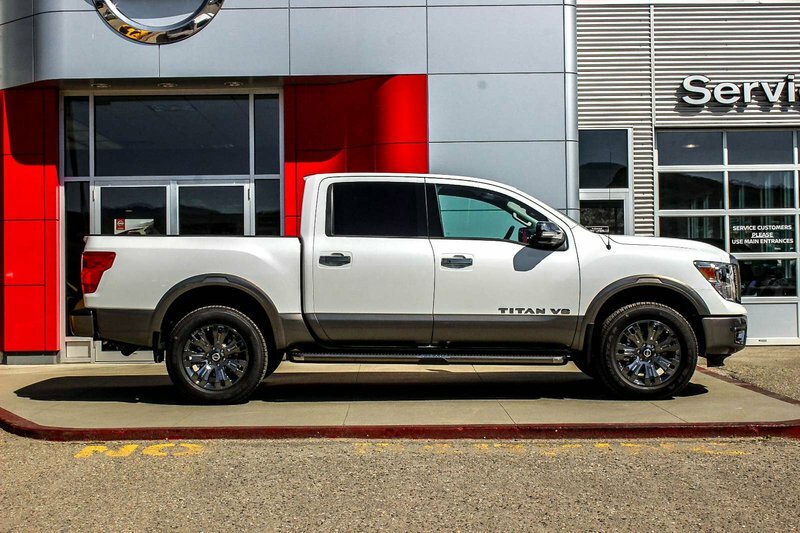 Muscle and innovation, this 2018 Pearl White TITAN® is a technical knockout. 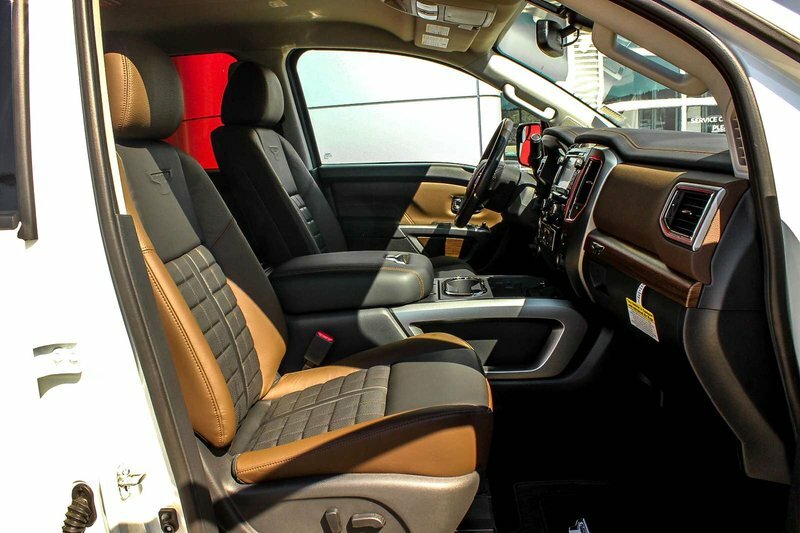 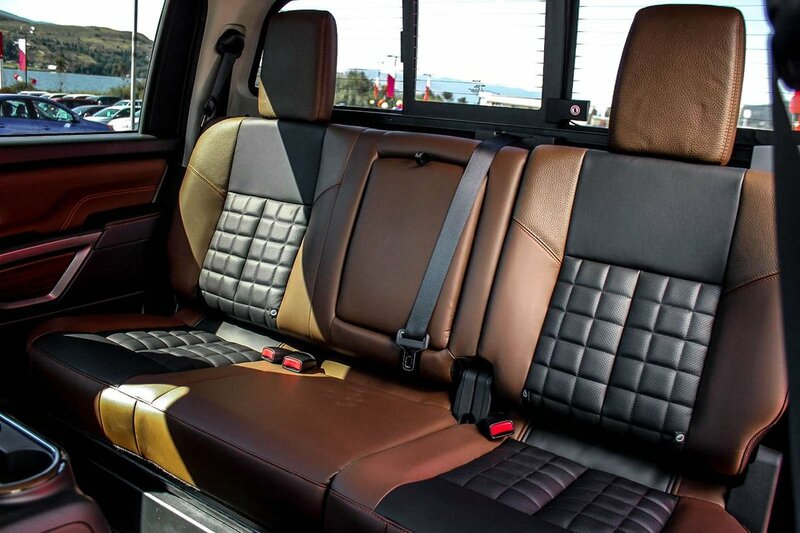 Housing a 5.6-liter, Endurance® V8 gas engine, it combines brains and brawn. 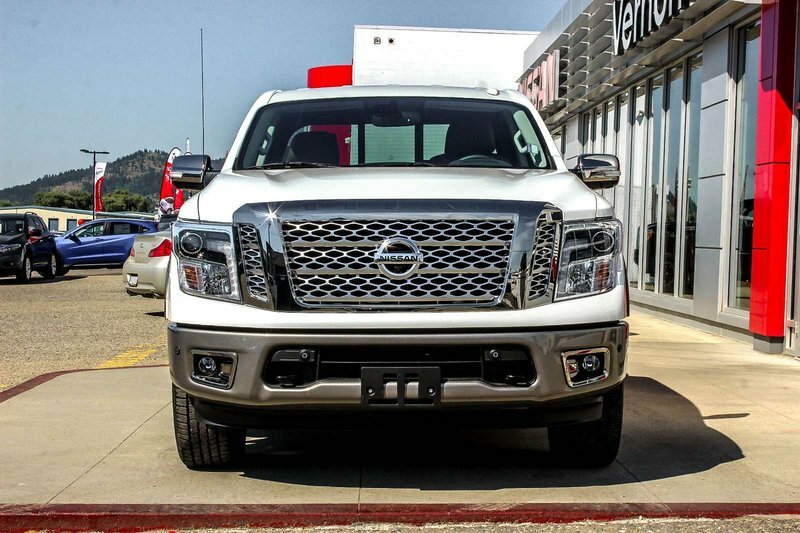 With a 4-valve-per-cylinder design and Nissan Direct Injection System and Variable Valve Event and Lift (VVEL), you have the power you want with the efficiency you need. 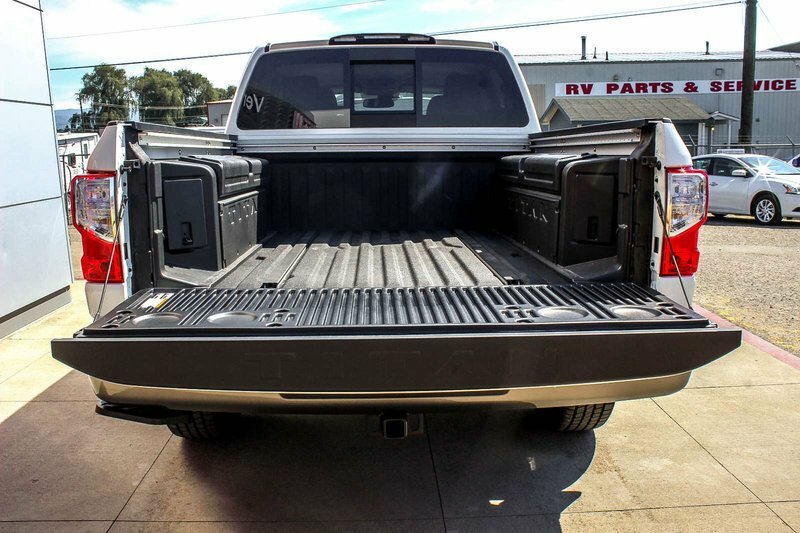 Exterior features on this Platinum Reserve model include Automatic on/off LED headlights, Illuminated running boards, Fog lamps, Front tow hooks, Tow hitch receiver, Outside mirrors with reverse tilt-down feature, Rear Sonar System, Bed rope hooks stake holder and separator/shelf provision, Utili-track® Channel System with four tie-down cleats, Factory-applied spray-on bedliner, Lockable rear seat cargo organizer, Tailgate illumination and bed-mounted 110-volt AC power outlet, Locking tailgate with rear spoiler and cargo bed light, Power rear window. 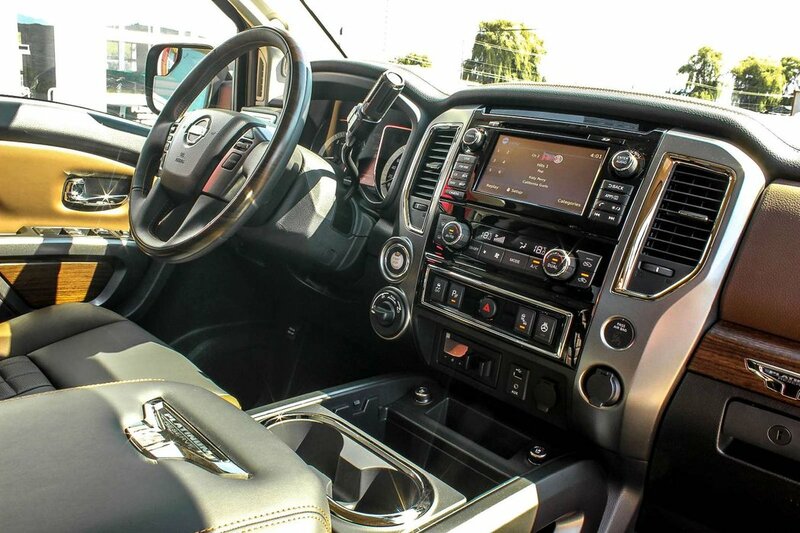 No doubt about it, Nissan has reached new heights with the interior of this Platinum Reserve model giving you plenty of standard features including; Nissan Navigation System with 178 mm (7") colour touch-screen monitor, Nissan Voice Recognition for audio and navigation, Bluetooth Hands-free Phone System, RearView Monitor, Dual Zone Automatic Temperature Control, Auto-dimming rearview mirror with digital compass and outside temperature display, Front captain's chairs with driver-side power lumbar, 8-way power driver's seat, 4-way power front passenger’s seat, Heated front seats, 60/40 Split flip-up/fold-down rear bench seat, Leather-appointed seats, Leather-wrapped steering wheel, Wood-tone trim, Rockford Fosgate®-powered AM/FM/CD audio system, MP3/WMA CD playback capability, SiriusXM Satellite Radio, Streaming audio via Bluetooth® wireless technology, USB connection port for iPod® interface and other compatible devices, Steering wheel-mounted audio controls, Twelve Speakers and much more. 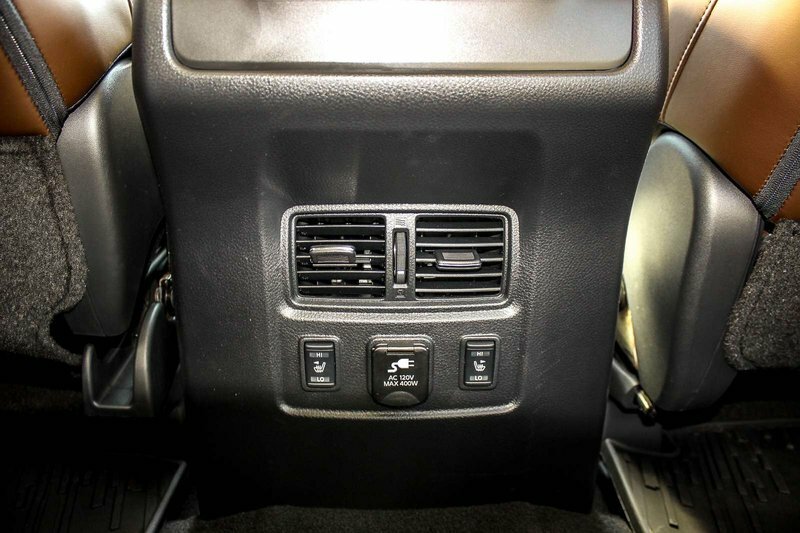 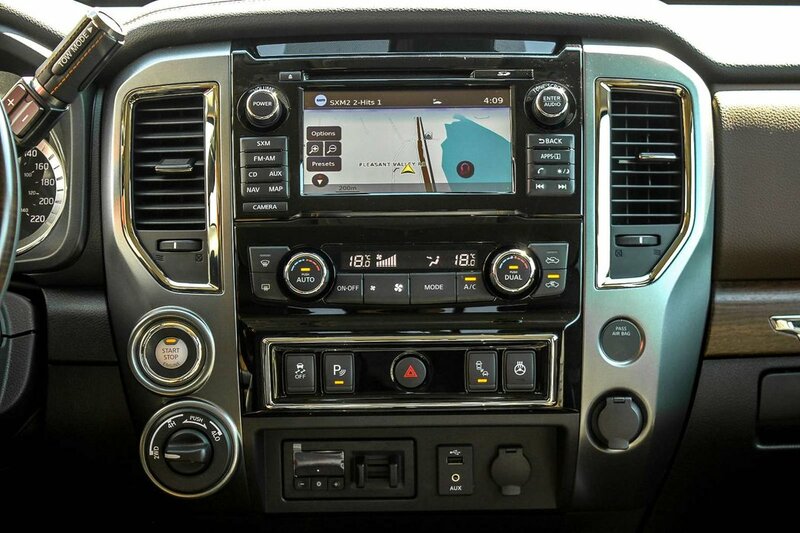 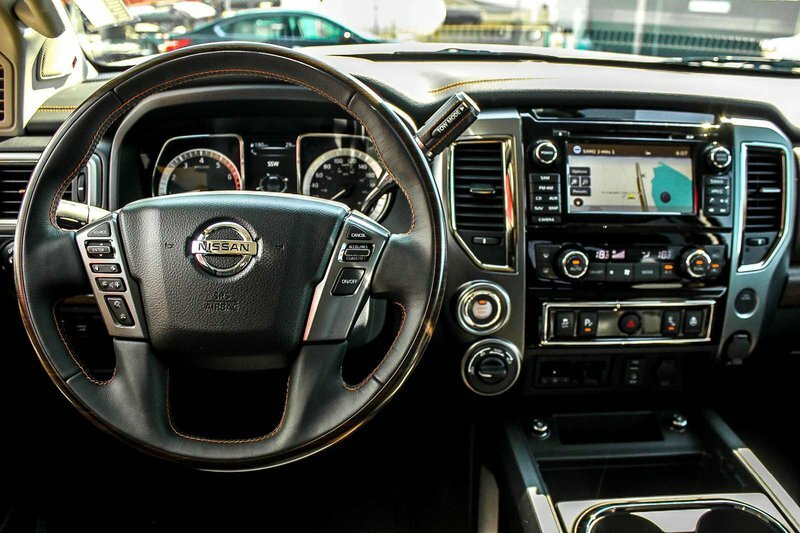 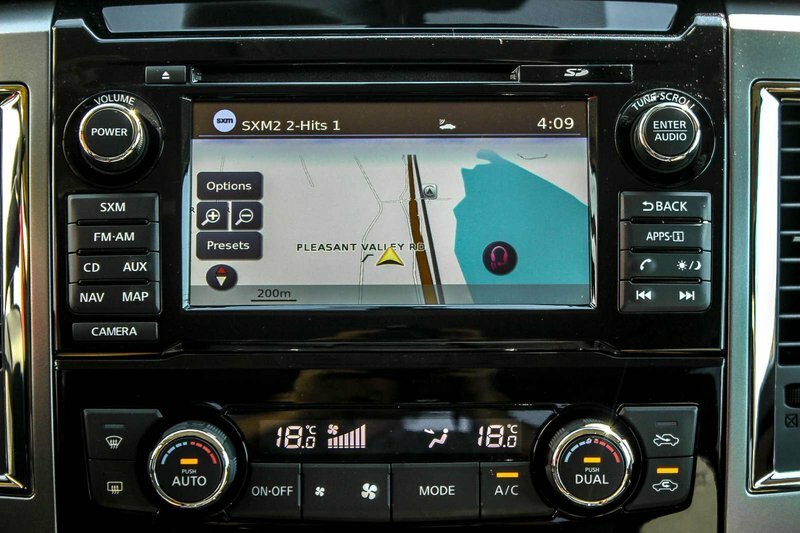 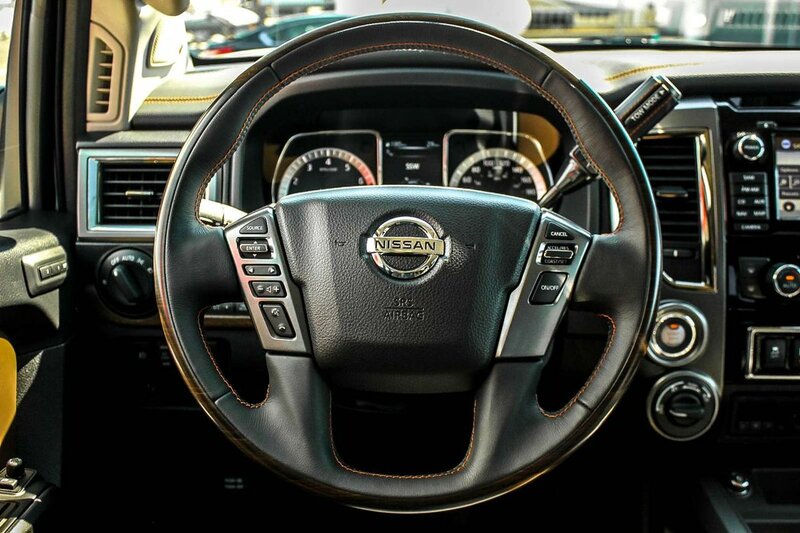 In addition, all the safety and security you can expect from a Nissan including Blind Spot Warning, Dual-stage supplemental front air bags with seat belt and occupant-classification sensors, Driver and front-passenger seat-mounted side-impact supplemental air bags, Roof-mounted curtain supplemental air bags, Vehicle Dynamic Control (VDC) with Traction Control System (TCS), Active Brake Limited Slip (ABLS), and Tire Pressure Monitoring System (TPMS). 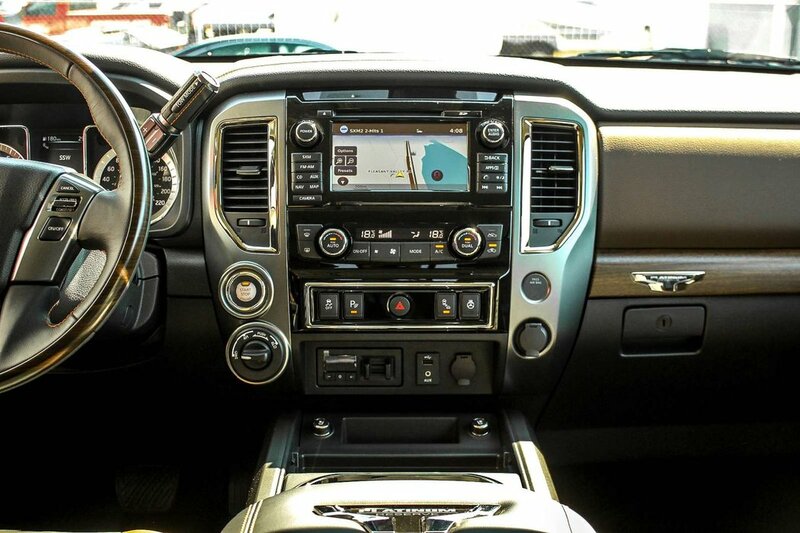 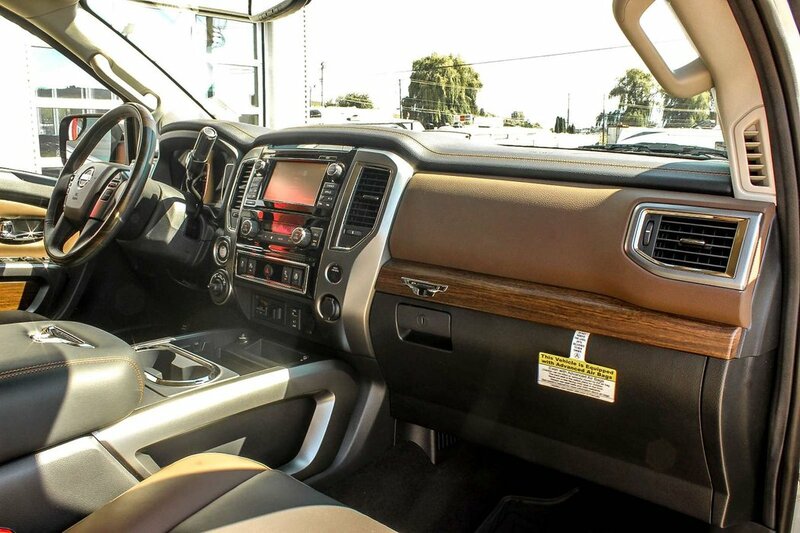 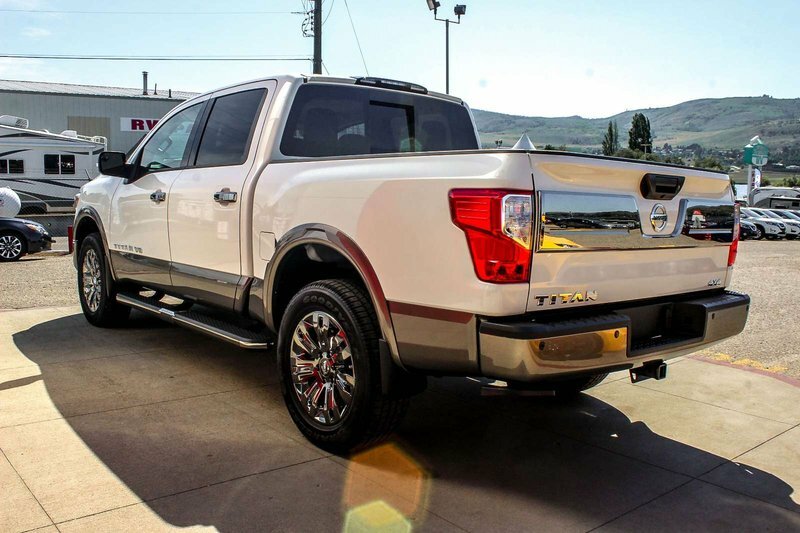 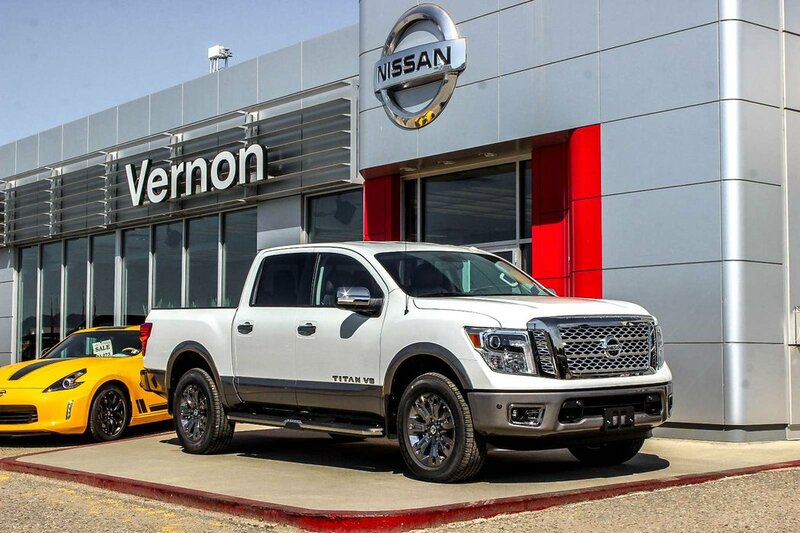 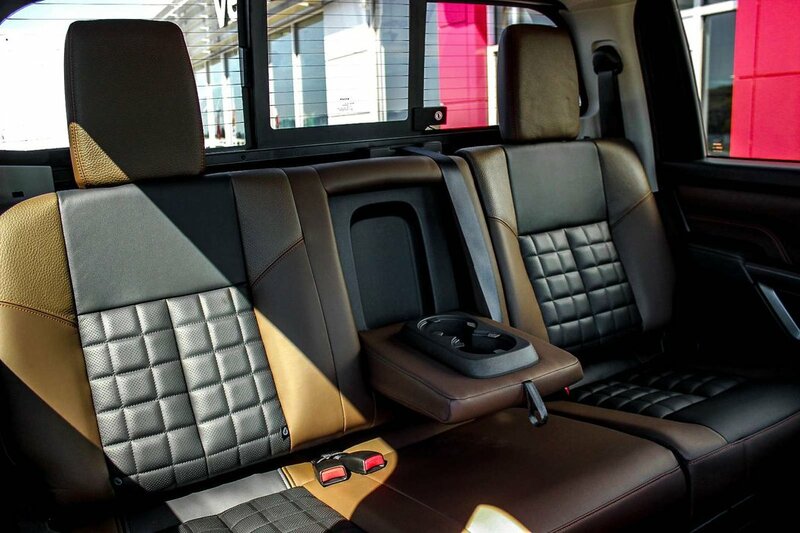 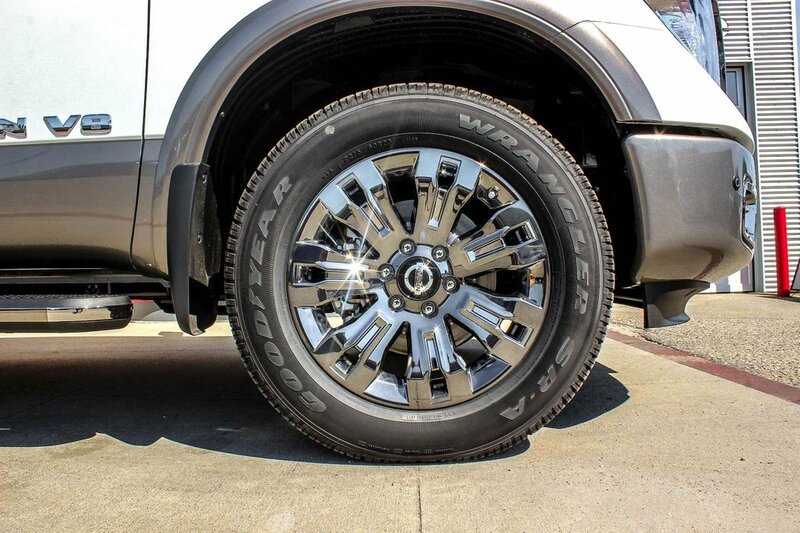 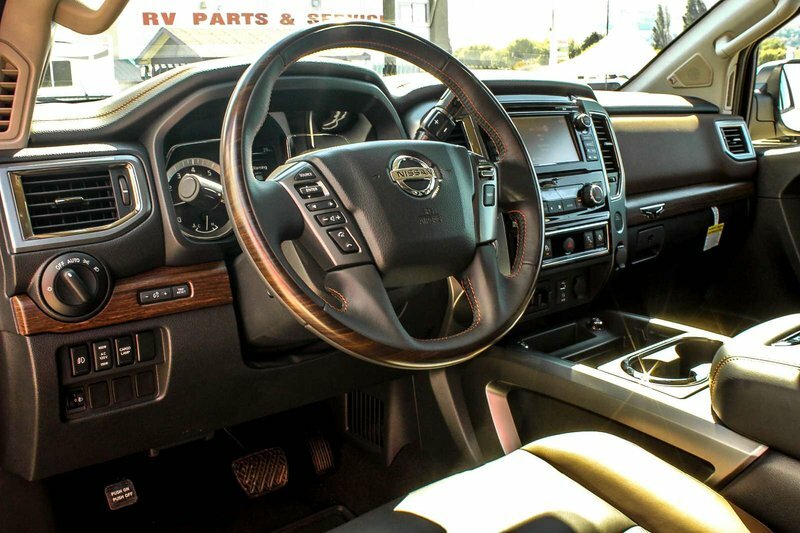 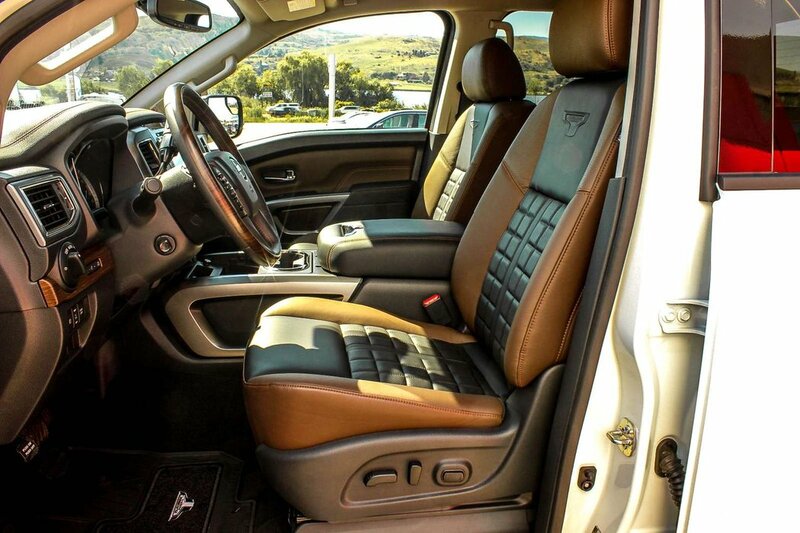 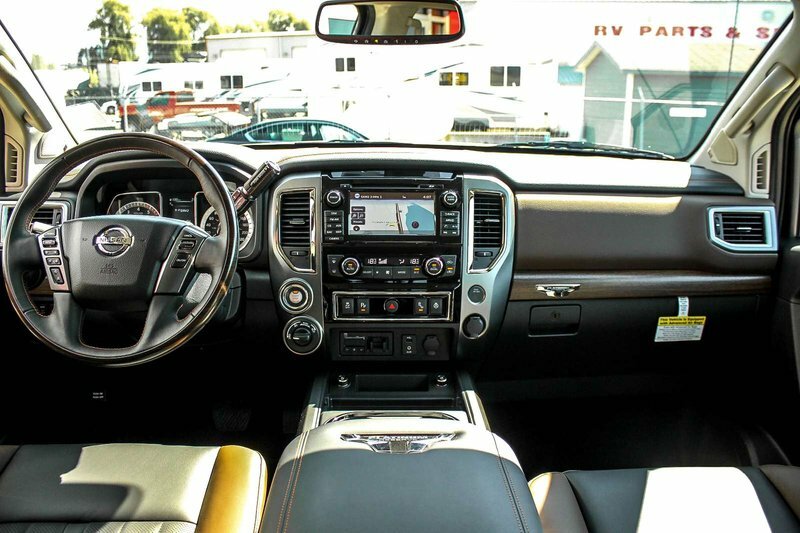 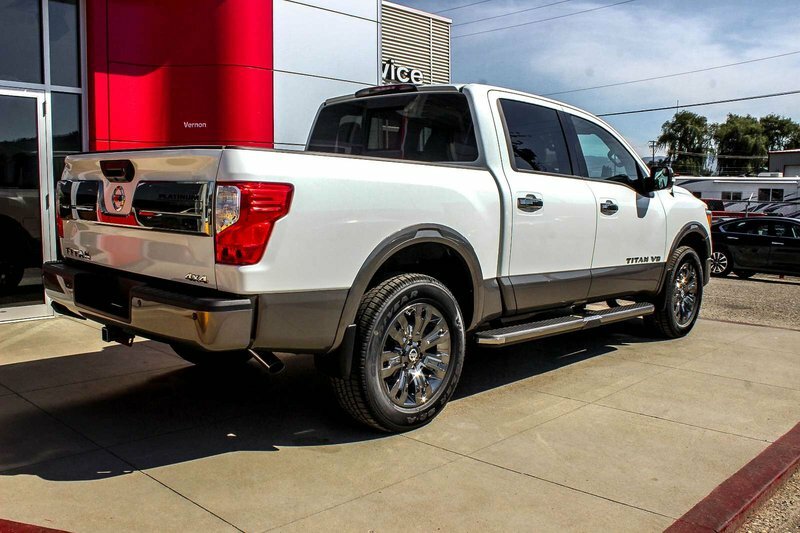 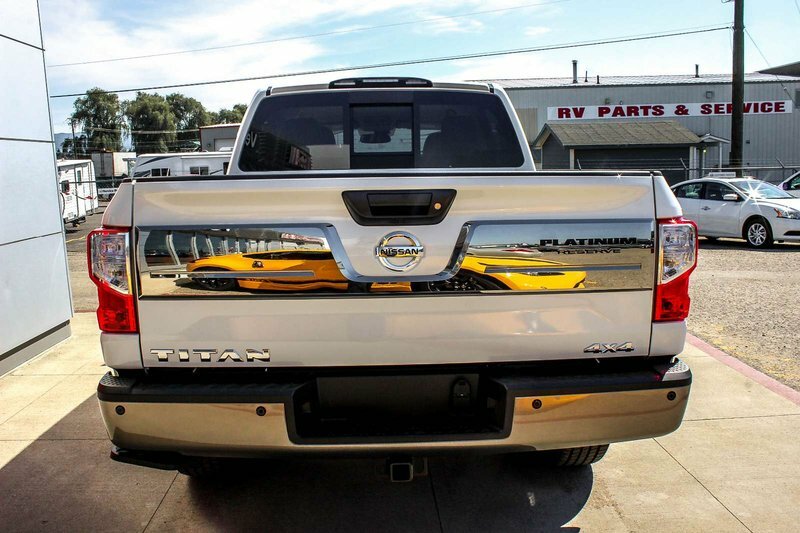 Come by and give this 2018 White Titan Platinum Reserve a test drive, today!